Most of our parents have experienced first-hand how the current education system is failing many children especially those with dyslexia or who need a more tailored approach to the curriculum. We provide a different approach that works with a child’s individual talents and abilities whilst growing their confidence. Whilst Ofsted still struggle to understand the way in which we differ from other schools and inspect us with the same criteria as they would a mainstream or academically selective school, we are pleased to report that the last full inspection identified many of our strengths. 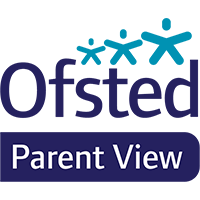 As a parent we welcome you to tell Ofsted what you think of our school. These findings go towards the next Ofsted report. To answer their questions which takes less than 2 minutes click on the box link below.